Monash University recently launched the largest philanthropic campaign in its 60 year history, with a goal of raising $500 million from 50,000 donors, and doubling the number of bequests made to the University. The ‘Change It. 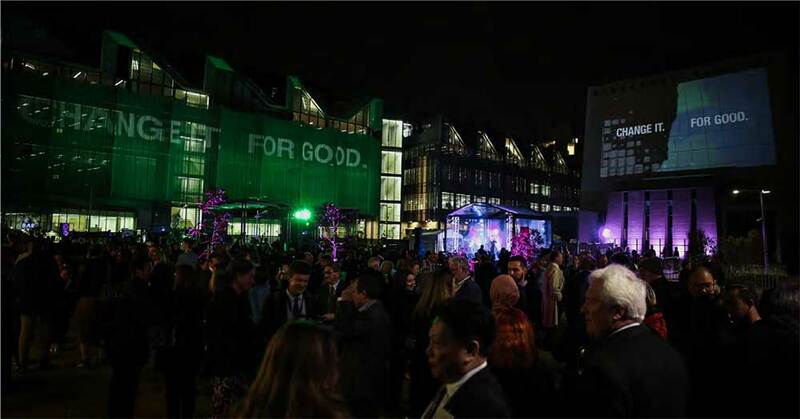 For Good.’ campaign is the next ambitious step in the University’s mission for students, researchers and global alumni community to drive change on a local, national and international scale. Monash is calling on 50,000 unique donors to become ‘champions for change’ and help the University deliver a positive and lasting future for all people. Margaret Gardner AO, President and Vice-Chancellor of Monash University, said. The campaign is focused on four distinct pillars: offering education for all; developing global solutions to the world’s most pressing problems; saving lives through ground-breaking medical discoveries; and fostering thriving communities locally in Melbourne. Every year, scores of disadvantaged students are given the opportunity to study at Monash, thanks to the generosity of the university’s donor community. Chor Kiu Cheung from Hong Kong is one student whose life has been transformed through a scholarship. Chor Kiu had always dreamt of travelling the world to study, but when her father passed away four years ago, her family was forced to apply for social security, and Cheung’s dreams of broadening her horizons through travel quickly dissipated. But this year, everything changed when Ms Cheung was awarded the Hong Kong Alumni Scholarship in recognition of her leadership potential and academic performance. 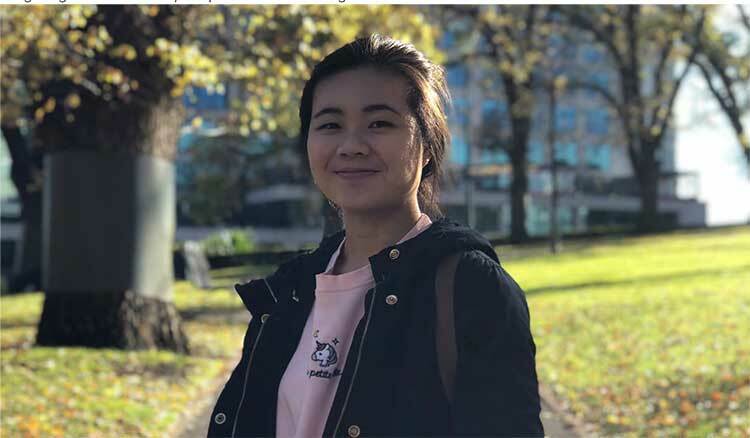 Her studies in psychology are being funded by a self- organised group of Hong Kong-based alumni who believe in using philanthropy to support disadvantaged students to access international study. Now in its second year, the scholarship is opening up the possibility of a Monash education to outstanding, but financially disadvantaged, students in Hong Kong for whom an international education would otherwise be out of reach. “It always amazes me knowing there are these networks out there supporting us students in our educational pursuits when we might have given up.This scholarship has made a tremendous difference in my life,” said Ms Cheung. The Hong Kong alumni supporting Ms Cheung are part of Monash University’s Global Leaders’ Network. These communities of alumni are active in eight locations – Hong Kong, Indonesia, China, Malaysia, Singapore, the UK, the US and Australia. Every research project Monash delivers is driven by one desire: to make a difference in the world. And the University’s community of philanthropic donors strongly support this vision. The RISE Project, which aims to provide clean water and sanitation to people in Indonesia and Fiji, is but one example of the incredible power of philanthropy to solve the world’s problems. Monash supporters literally save lives around the world by giving to drug discovery, clinical advancements, breakthrough research and public health crises. This year, thanks to the generosity of the late David Winston Turner, Monash University became the recipient of Australia’s largest single gift to mental health. The donation enables the establishment of the Turner Institute for Brain and Mental Health, set to become one of Australia’s largest institutes for mental health. Professor Kim Cornish, will lead the new institute, which will develop ground-breaking research, training and treatment solutions for people with mental illness. She said she was extremely grateful to the David Winston Turner Endowment Fund for growing this significant area of research that will improve human wellbeing. “David made an extraordinary commitment to mental health, especially developing breakthrough research to help improve the lives of people suffering from conditions such as obsessive compulsive disorder and other compulsive disorders. It’s through David’s vision that Monash can help transform communities,” she said. While much of Monash’s work is of global consequence, the University maintains proud roots in its Melbourne home, and is partnering with donors who support the city, state and nation to flourish. Philanthropy has helped sustain universities since the Middle Ages, but the form university philanthropy takes is currently undergoing rapid transformation. The Change It. For Good. campaign represents philanthropy in this new form – as a way of creating communities of people with a shared goal of bringing positive, practical change to the world.